To conclude, I am pleased with Dead Time in its current state; I feel that from the beginning of the production of my graduate project I have learnt valuable lessons regarding, amongst others, project organisation, optimisation techniques, research methodologies, planning, idea generation and market awareness. I have also learnt that I can be too ambitious, and the vision I had of Dead Time at the start of production has not necessarily been realised with the final product. The predictions I had envisioned in my head of the realisation of features being a certain level of difficulty and needing a certain time to complete were usually incorrect; I found myself still tweaking and working on features I had expected to finish long before. I am glad however that I decided to restructure my idea as if I had followed through my my original idea of Chronorush I would have likely ended up with a weaker project. Along with producing a game I feel as though I have become comfortable with the fundamentals of the C# programming language and wish to advance my skills further in this field as at several points in the project I remembered how little I knew of the language before and felt impressed at the functionality I had achieved, but also felt that I wanted to learn more. Saying that, it is producing art for games that I want to become the most proficient at, but while I felt like I had learned a lot and progressed on the programming side, I feel as though I didnt perform to my fullest on the art side; I speculate that this is due to me needing to spend more time on the programming side as I was learning as I went, whilst with the art I was short on time and couldn’t challenge myself in quite the same fashion. If I was equally skilled and experienced in both fields, then I would have likely been able to make much more accurate estimations on workload and time required for completion of tasks, resulting in a project closer to my aims or perhaps even more ambitious. Looking to the future, I believe that all I need when it comes to meeting my expectations and ambitions in the future is greater experience and skill; by completing more projects I will obtain a greater understanding of the sorts of timeframes certain tasks require as well as increasing my efficiency and speed so that the tasks can be completed with less difficulty. I will likely continue production on Dead Time after the deadline in order to meet my standards and gain the experience I am striving for. For the production of Dead Time I drew on the creative skills of two of my coursemates; as making an entire game is usually a difficult task, I recruited the help of two other experienced game developers that have been using the Unity engine as long as I have. Ben aided me in linking the functionality of my game to the user interface in order to deliver important information to the player; as I did not have any GUI programming experience, I greatly valued Ben’s help with the project. Ben linked the numerical value of the heat level of the player to the onscreen GUI and used concantination to add descriptive text achieving further clarity with the UI. Additionally he used several fundamental mathematical functions including Mathf.Round to round the value to be more manageable (i.e. 56% rather than 56.789%) as well as programming the “overheating” and “entered dead time” warnings to be enabled when the heat level rises too high and to be disabled when it falls under an acceptable threshold. Overall Ben was very helpful with providing the functionality behind my UI. Andy aided me at many points throughout my project with various bug crunching and troubleshooting, his expertise being valuable due to him having knowledge of different aspects of unity than I do. In an area where my knowledge was lacking I was able to rely on Andy to inform. Andy was most helpful with getting my quaternion based turning system working, as I was having trouble joining the smoothed movement of the character on the x and z axes with the gravity and jumping based movement on the y axis; an issue I was being stalled by was solved in due course and with minimal difficulty thanks to Andy. After making the decision to restructure my idea and ending up with the concept of Dead Time, I thought again about planning my project and looked at the Gantt chart I had created for producing Chronorush and reckoned that it was far too rigid a planning model for my tastes. I moved ahead with the production of Dead Time but came across Trello, an organisational web app for single developers or entire teams; tasks are represented as cards, which are stored under lists – tags can be used to quickly colour code tasks and give them context, to do lists can be created inside cards, developers can be assigned to specific cards by dragging their profile picture onto them, and many more features. I found Trello to be extremely helpful in organising the production of my graduate project, as new tasks could be added and sorted on the fly, and I could view and estimate my workload at a glance as well as set due dates for certain tasks to plan out both the short term and long term production of my game. In hindsight, cards representing large development tasks for the game had the same visual presence as ordinary small tasks, so whilst Trello was great for small scale tasks, when it came to moving onto larger parts of the game, cards representing large areas of development such as ‘start on the art’ ballooned into smaller cards such as ‘create models for player’ and ‘create models for security door.’ In this regard I feel that I might have been misled by the rate at which I could complete tasks on cards seeing as there was no way to tell which cards held more relevance/were more difficult/took more time to complete leading to a disparity of understanding the greater scheme of things from the smaller. 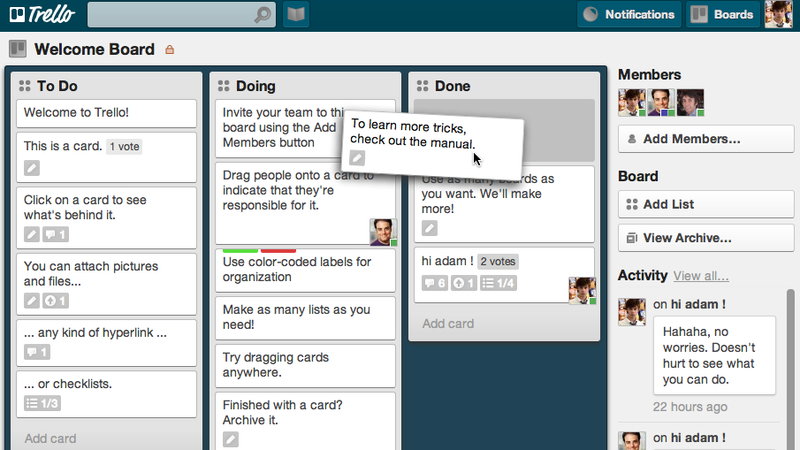 Nevertheless, I feel that Trello greatly aided the organisation of my project on a smaller scale. The user testing that took place during the making of Dead Time occured at two distinct stages of the production; the first round of testing took place before the final production of the main level of Dead Time, but after the core movement systems for the player character were in place. In this informal user testing session I took feedback in note form from several people on my course and who I know personally who played the game in its early stages; I recieved feedback that significantly influenced the functionality of my game, which was recorded and is shown below. “It should be easier to turn in the air” – to start with, I had reduced the speed at which players were allowed to turn when jumping and in mid air to introduce some realism, as in real life it is impossible to change direction once is airborne and your trajectory is decided. However, players were confused with the system and repeatedly missed platforms or their intended target for landing due to how certain players needed to be of their direction and speed before initiating their jump. Due to this, I decided to remove the limits on turning in mid air, so that players could have a much greater level of control over how they manouvered mid-air, sacrificing realism for a greater gameplay experience. “It’s hard to turn around in a small space” – I had decided to use quaternions to “smooth” the player character as they turned, instead of instantly snapping them as they rotated, with the intention of making the turning less jarring; however this seemingly impacted upon the gameplay, as one of my testers noticed that small adjustments to the player’s direction were not possible without turning in a larger “turning circle” than was anticipated; I ended up solving this by having the player character change rotation instantly only when the speed of the character was under a certain value. 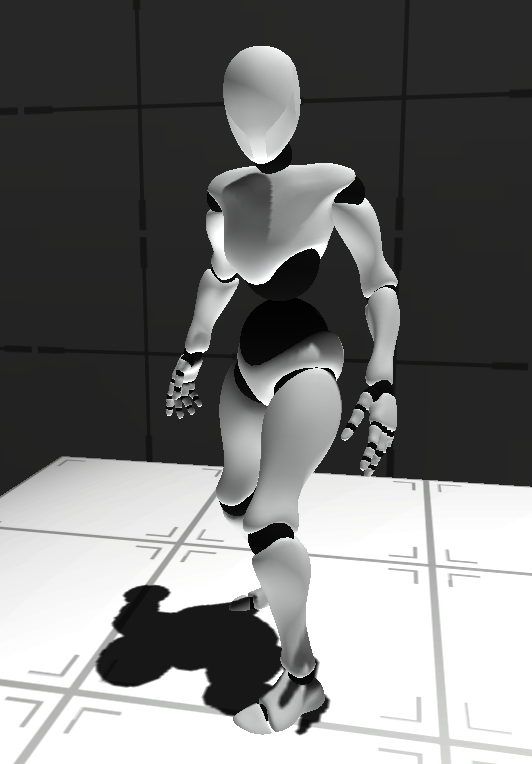 This way, the player character still turned smoothly when running or sprinting, but would also have finer movement when at a standstill or moving very slowly for exact positioning. “Holding the time control button is tiring after a while” – At this stage in production I had not yet added the heat meter and functionality which stopped the player from endlessly using time control, meaning the player could activate it as long as they wanted; the activation was triggered by holding down a button and deactivated by letting go. After a while, the player got tired of holding the button down to activate the mechanic, so I decided to opt for a toggleable control instead, so that with one press time control could be turned on or off rather than having to hold the button for the duration of usage. 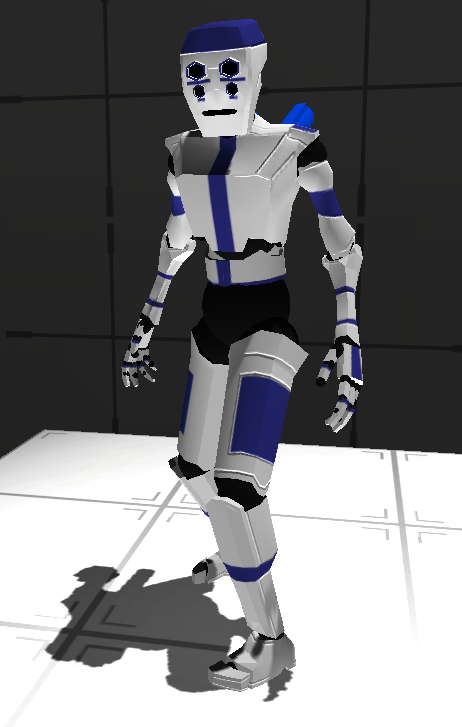 The second round of user testing took place towards the end of the production, at which point the player character’s model and the level were nearing completion. I was able to act upon the majority of the feedback at this stage, but some I was not able to follow up on and implement; I will likely take into account the remaining feedback if I pursue further development past the deadline. “There should be a button to drop from ledges” – Implementing a ledge drop button was straightforward; whilst pressing the jump button whilst ledge grabbing made the character let go of the ledge and launch upwards, the drop button simply made the character let go without jumping, causing them to descend and go into the falling animation. Before this implementation, the only way players could move downwards from having been latched onto a ledge was to jump, forcing them to move upwards before being able to move down. I observed some players failing to jump on occasion due to having pressed the jump button very shortly before fully landing and the player character registering itself as being grounded; to rectify this, I made the jump button valid for 0.2 seconds after being pressed, so even if the player pressed the button too early it would still be a valid input for the next 0.2 seconds in case the character were to land in that time. “There should be a walk button” – at the stage of this feedback there were two speeds of movement in the game, either running (the default move speed) or sprinting (facilitated by the use of the shift button) so on request I added a third speed enabled by another button and added the framework in the animation system to blend from running or sprinting movement into a walking one. “there should be more of a visual change when the time control activates” – If I implement this change I would likely use some sort of colour-shifting effect to emphasise the ability being activated; right now the rods on the character’s back depress and a subtle depth of field blur effect can be seen on objects in the distance, but if objects in the distance can’t be seen as well as the rods, there is no way to tell that the player is activating time control aside from the heat meter increasing. A colour shift would be the clearest signifier that time control has been activated. “you should be able to move left and right on ledges” – currently the player detects where ledges are vertically in order to determine whether to grab them or not, but introducing the functionality for moving along grabbed ledges to the left and right would involve a different type of horizontally aligned detection system that ensured that there would still be more ledge to move onto when moving, but the main reason I was not able to implement this functionality was due to a lack of animations that would make the ledge movement look convincing. If I decide to develop past the deadline and produce a character from scratch, I would be able to create custom animations suited for such a purpose. During the production of Dead Time, I had to take into account multiple technical considerations and encountered numerous challenges during the production process; one of the largest challenges was making sure the game worked on a variety of user’s machines, and as such I had to make a compromise between visual quality and optimization. Thankfully, Unity provides plenty of guidance in their online manual, but I am aware of many techniques to maximise compatibility and performance, which I will provide an overview of below. The two most significant areas for optimisation were the graphics and the programming behind the game. The general aim when it comes to graphics is to set a target for what kind of visual style and fidelity you want to achieve, then get as close to that target as you can whilst being as efficient with texture resolution, polygon count (the number of ‘surfaces’ or ‘faces’ that make up the 3D shape of each object) and the methods with which you light your levels, amongst other aspects; again, unity provides valuable documentation on this subject, and game artists should be aware of the performance thresholds and commonly held methodology behind the art of different types of games – for example, when 3D modelling one should minimise the number of polygons on background objects (saving performance) as they are less likely to be seen in detail, while adding enough polygons to more significant objects such as characters. As my game’s target platform is the web, I must keep file sizes down so that my game can be loaded in a reasonable amount of time, but also provide graphical settings (practically an expectation nowadays) so that people with less powerful machines can tone down the visual detail and achieve a desirable framerate. Thankfully, even the mid-range computers nowadays are powerful enough to display many thousands of polygons and handle intensive post-processing effects, making my job as an artist more forgiving, but in turn provides more artistic freedom. As with graphics, ensuring that one’s programming is optimised comes with experience and the knowledge of how to build as efficient a system as possible – that is, ensuring that the purpose of one’s programming is met as fast as possible and with the smallest possible memory footprint – instead of art, with which one must compromise, the aim of programming is to instead solve a problem with the simplest solution. Following this mindset, I have used fundamental methods such as ‘caching’ – when you store data, for example a reference to another object’s variables, in a new variable to then use, instead of retrieving that data every time you want to use it, forcing the need to have to find the object every time to access its variables. Other methods include coroutines – in comparison to the update method which runs every frame (conventionally 30-60 times a second) coroutines can be made to run as frequently or infrequently as is needed, making them much less impactful upon performance. There are many solutions to one problem, but the aim of programming is to provide the most efficient solution, which is a consideration I have taken into account when programming my game.